Music is definitely everywhere. From our own personal libraries and streaming stations to advertisements and entertainment, it is a fundamental part of who we are as individuals and as a culture (for better or for worse). Since music is just noise (how's that for a scientific breakthrough), I have always found it neat to see the visual representation of the soundwaves in line with the song that is playing. Back when Windows Media Player was a thing, I always turned on the visualizer, finding it much more entertaining than staring at the album art — or worse, the placeholder image when no art was available. So, that brings us to MUVIZ, an audio visualizer that sits right above your nav bar or hardware nav. 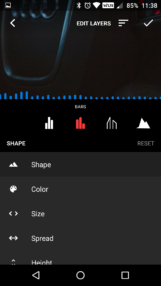 Working across most music and video apps, it allows for a myriad of different colors, styles, and other fine-tuned settings. The best part for most of you? No root required. Before even getting into visualization, MUVIZ asks for the permission to record audio. 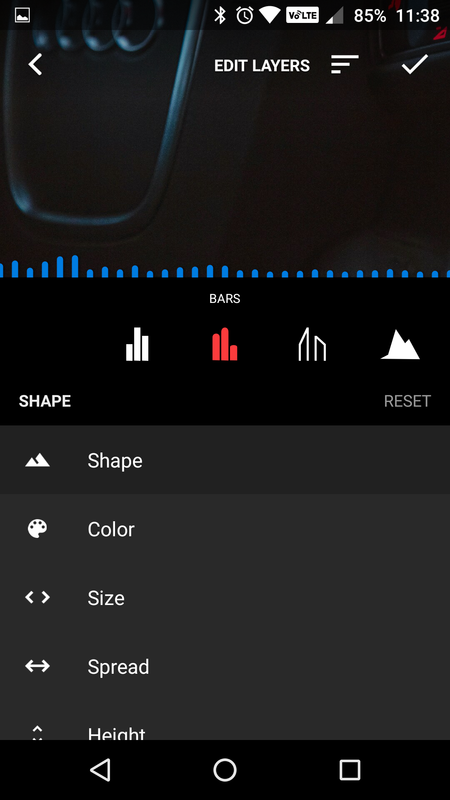 This is simply to allow the app to listen to the media playback, analyze it, and output it to your screen. Nothing nefarious here. 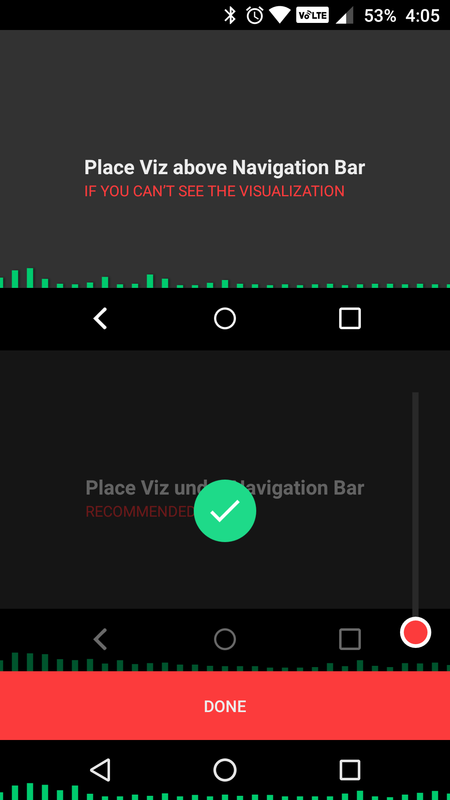 Once you get through that, you're asked to choose whether you want the visualizer above or below your nav bar (if you have softkeys). Below is what the devs recommend and that is what I prefer to use, too. 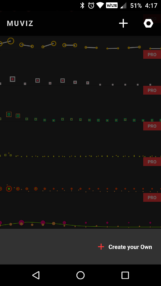 After this, you're thrown into a rather large list of visualization options. 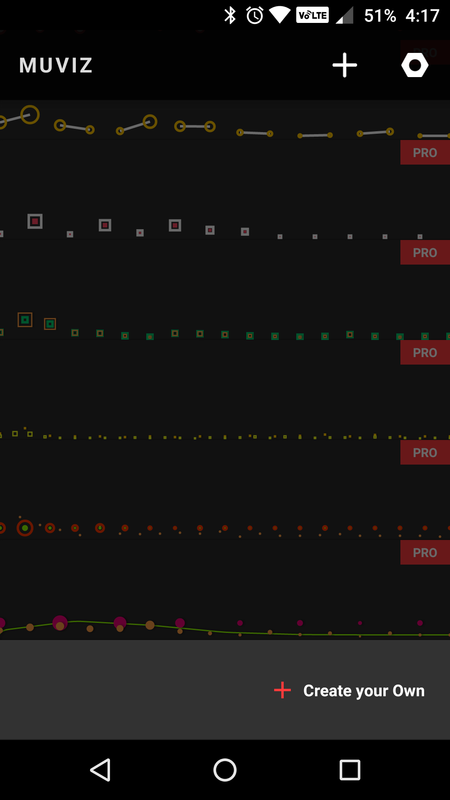 It starts off with different styles, like bars, peaks, lines, squares, and circles. Some of these are pretty cool and some are rather ridiculous, but most of them are locked behind the Pro upgrade. There is also the option to create your own style, if you have the desire to do so. 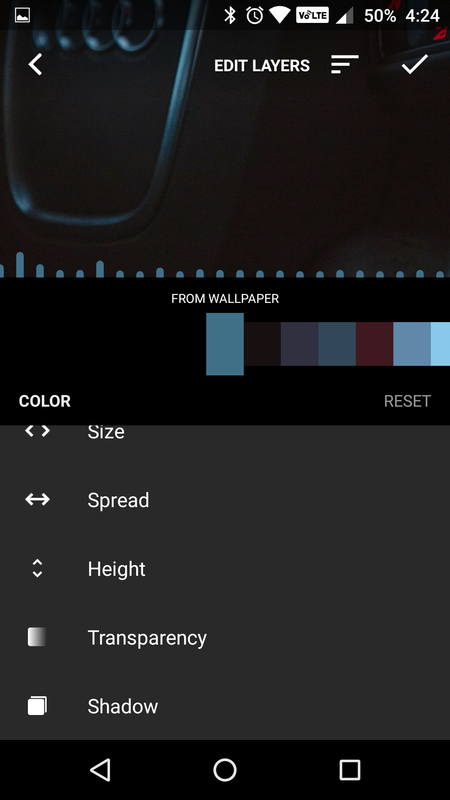 Delving further into these customization options, you get to fine tune the style you chose on the main screen. This is where it can get fun. You can continue to live test all of the choices, and below that you can adjust the shape and colors to your heart's content. As you can see from the above screenshots, there is a lot to do here. On a final note about colors, there is a wide range of "stock" ones to choose from — I gravitated toward the blue spectrum, of course. 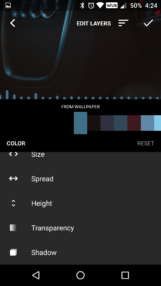 However, the app will pull in your current wallpaper (you can see mine at the top of the style options screen) and offer you a nice selection of colors from that. 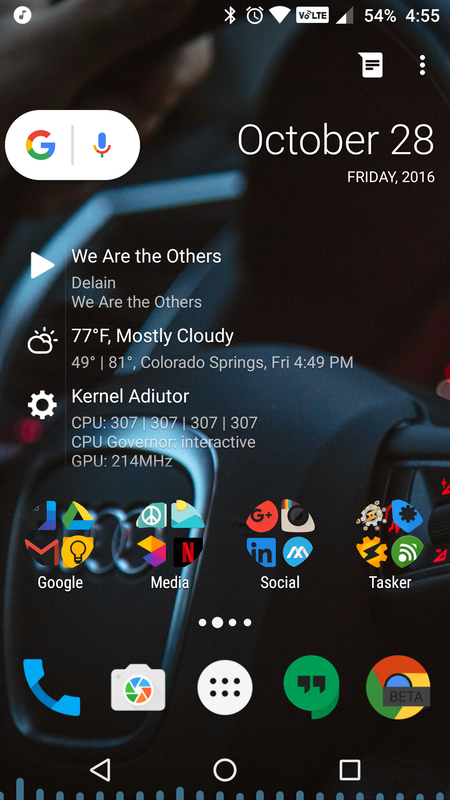 Think Quicktheme from Action Launcher, if that helps. 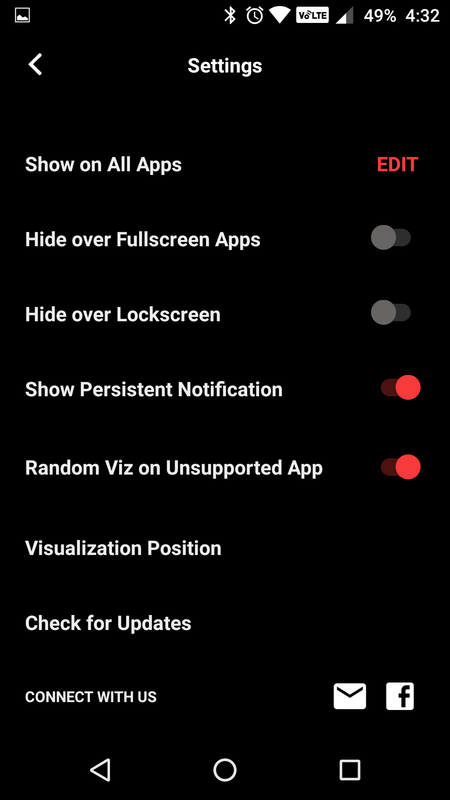 Finally, there's a typical app settings menu. 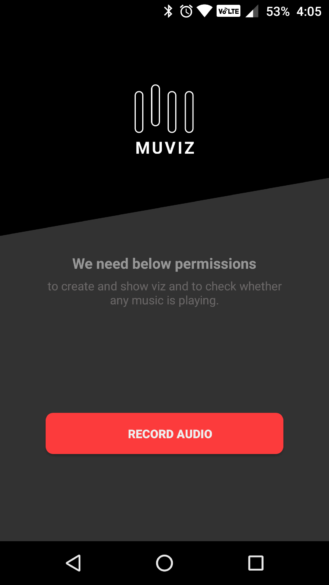 First on the list is the option to choose which apps MUVIZ will play over. 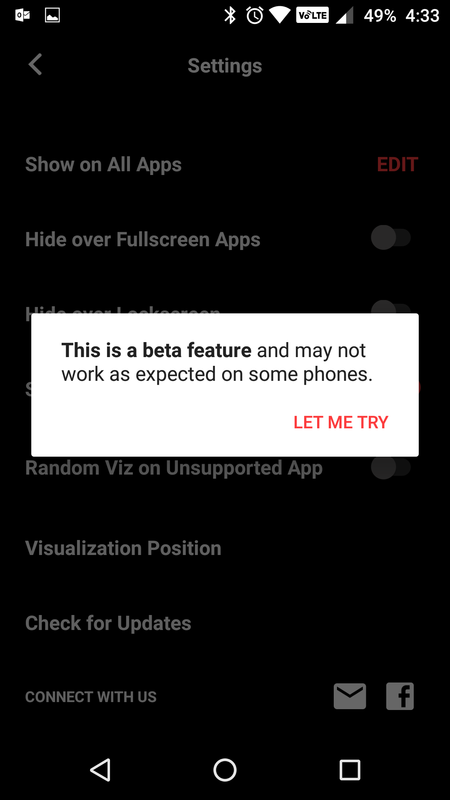 Take note, however, that the devs do mention this is a beta feature and may not behave the same on all phones. 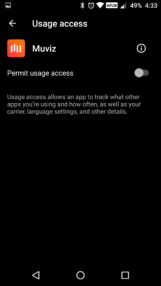 It also requires apps usage access. 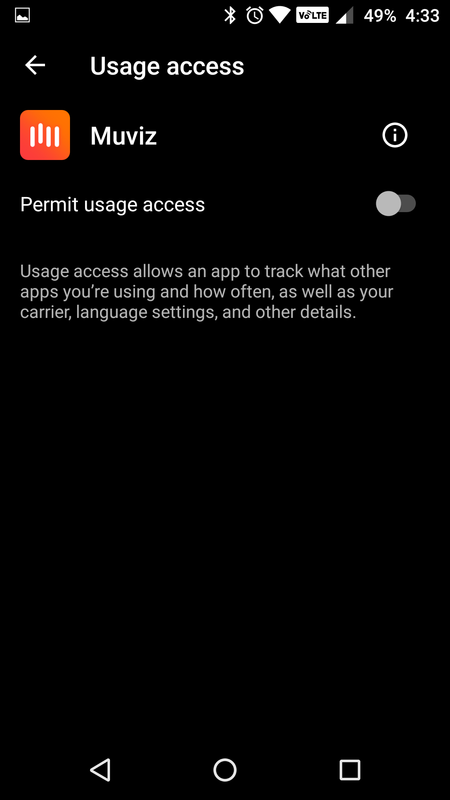 Once beyond the warning and granting access screen, you get to a list of all installed apps. I am sure you know what to do from there. 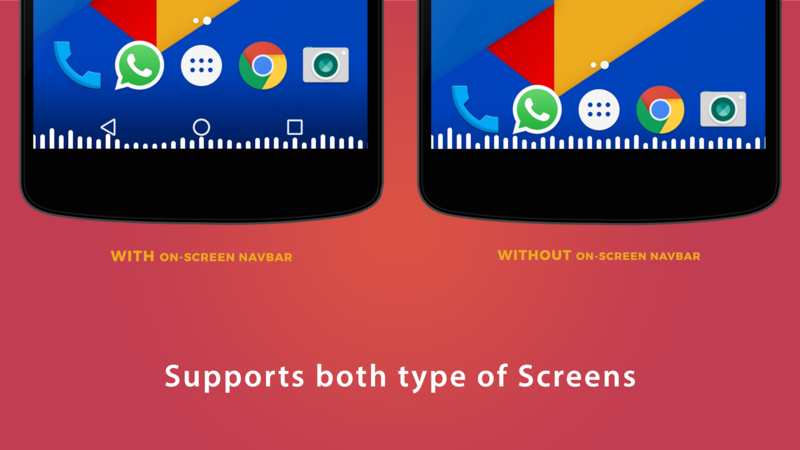 Moving on, you can decide whether you want MUVIZ to be hidden over fullscreen apps (like YouTube, MX Player, etc.) and the lockscreen. The persistent notification allows for the visualization to start when your music begins, and disabling this can cause some jank when you start playing media. 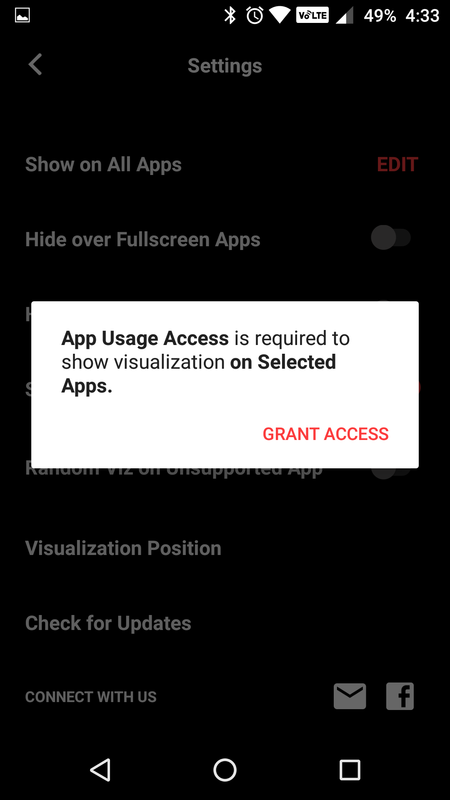 The random "viz" is for apps not supported by MUVIZ, such as Instagram. I highly recommend turning this off, unless you want random bars at the bottom of your screen when scrolling through any of your feeds with auto-play videos. 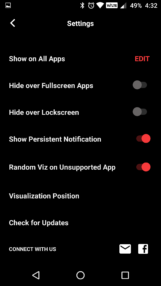 Here in the settings you can also change the position of the visualization that you chose at app startup. This is great for just another element of experimentation. 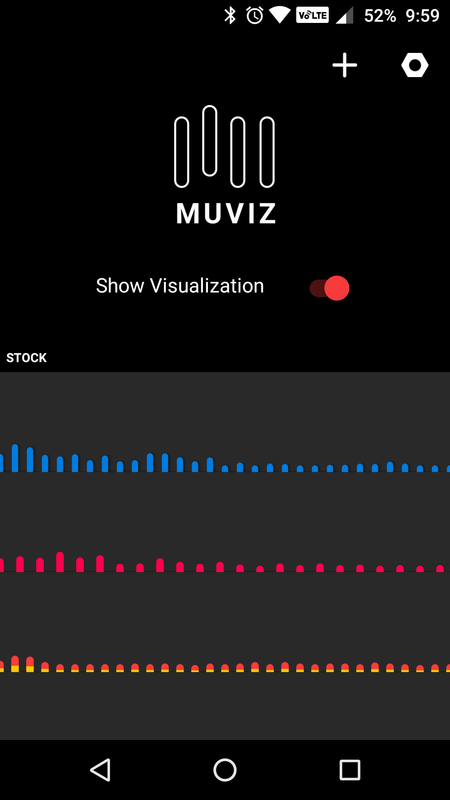 When you start any music or video, MUVIZ will automatically start... visualizing. There is not much else to it. I really enjoy how it looks, especially since I chose a darker blue. When in Google Play Music, for instance, I think it looks really clean even with the black nav bar. Since I selected my color from the choices presented based on my wallpaper, it looks a little more muted on my homescreen — which, as it happens, I really like. And that is pretty much it. You can always delve back into those settings I mentioned earlier and try out different things. It took me a few tries to really find a color and shape I liked, but I opted for simple and subtle in the end. 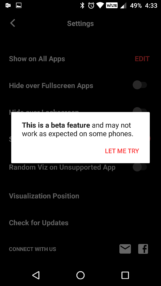 Other than disabling the persistent notification (ahem, user error), I have not run into any stability issues with the app on my OnePlus 3 on Marshmallow. 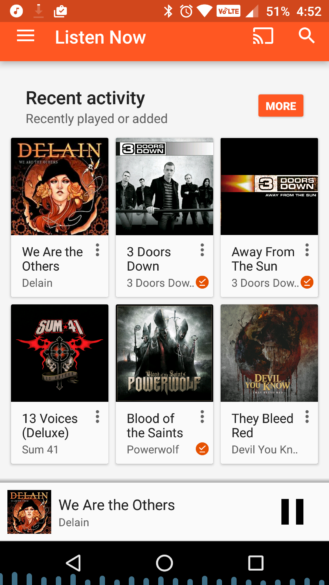 It starts up fairly quickly once music begins and vanishes as soon as playback stops. 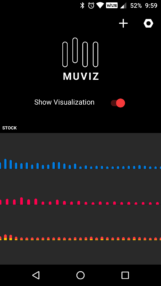 MUVIZ is a free download in the Play Store and requires 5.0 Lollipop and above. The Pro upgrade is a small $1.99, and I think it is worth it. Go ahead and give it a try.